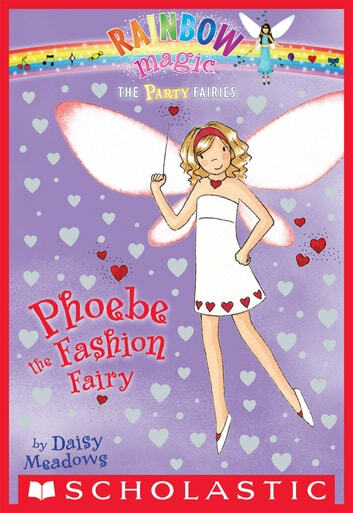 The Party Fairies' magic is missing --- and the Fairyland jubilee is going to be a flop! This is our tenth group of Rainbow Magic fairies; all seven books in the group will be released at once. It's party time! A big bash for King Oberon and Queen Titania is underway in Fairyland. The Party Fairies keep everything running smoothly, until Jack Frost's goblins steal their magic party bags. Now parties everywhere aren't festive --- they're a flop! Kirsty's friend Charlotte is having a birthday party. But everyone's pretty party outfits are ruined! 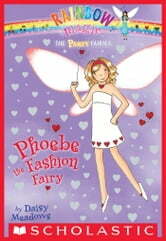 Phoebe the Fashion Fairy has to track down her magic bag --- fast. Find the magic party bag in each book and save celebrations everywhere! Its about these girls that help fairies.